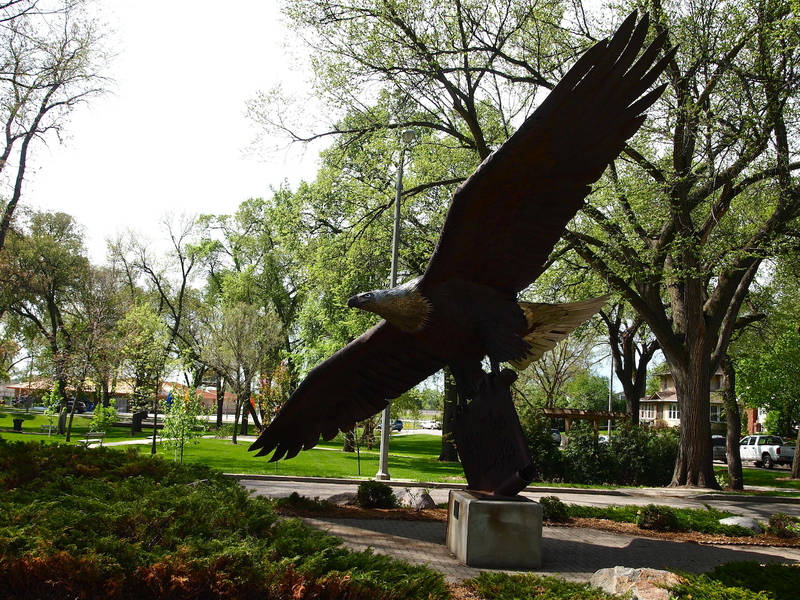 The eagle statue in Custer Park, Bismarck, North Dakota. View to the south. I dropped into Bismarck yesterday, and after having breakfast with my folks this morning I decided to visit downtown Custer Park. It is beautiful outside. The park itself is a kind of border between the historic western edge of downtown Bismarck and one of the historic residential areas. To the south is Elks Aquatic Center, and just to the east is a Dairy Queen. You can see how this is triangulated and primed to be a serious summer hangout for those on summer vacation. While at Custer Park, I also visited the huge metal eagle sculpture. This eagle was dedicated in 1988 (or thereabouts), and I have a vague recollection of my cub scout troop being at the dedication. At that time, when the sculpture was new and sans rust, we were told how the eagle would take on a more eagle-like color because the metal would oxidize and rust over time. This is about all I recall, but every time I drive by the eagle, I think of that dedication. 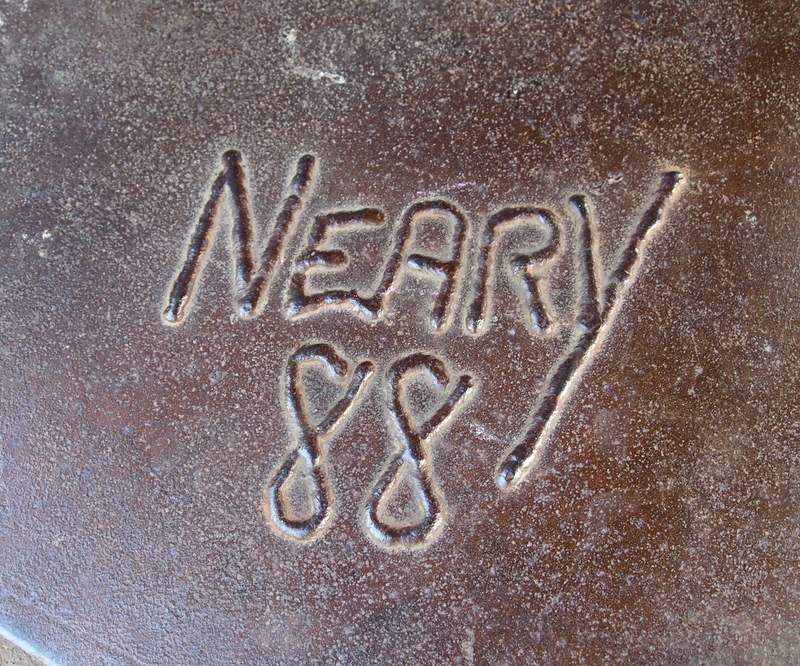 Neary’s “weld” signature from 1988 at the base of the eagle statue. This sculpture was dedicated to commemorate the bicentennial anniversary of the constitution of the united states of America on October 1, 1988. Today, artists have pushed metal sculptures in different directions, now using found metal objects to craft works of industrial public art. Here is a link to some of that at the University of Montana in Missoula, and some more from Lemmon, South Dakota. This entry was posted on Sunday, May 25th, 2014 at 12:52 pm	and tagged with Art, Bismarck, Great Plains, Great Plains History, Lemmon, Missoula, Montana, North Dakota, Public Art, South Dakota and posted in Uncategorized. You can follow any responses to this entry through the RSS 2.0 feed.